I have been in a lot of cars with backwards little quirks that manufacturers like to label ‘features’—like Mercedes’s little stalk-shifter thing, or how certain Jeeps like to hide the window buttons, or how BMW’s lock-unlock is only one button, and it sits between the central vents on the dashboard. Fine. You’re very special. But the single most infuriating feature of any car is this: for some unfathomable reason, Nissan has decided to set the doors to auto-lock when you put the car in drive, but not to auto-unlock when the car is put in park. That means that if you put a Nissan into park and try to get out, the door level will clack fruitlessly, no unlock will be actuated, and you will be stuck in the car. 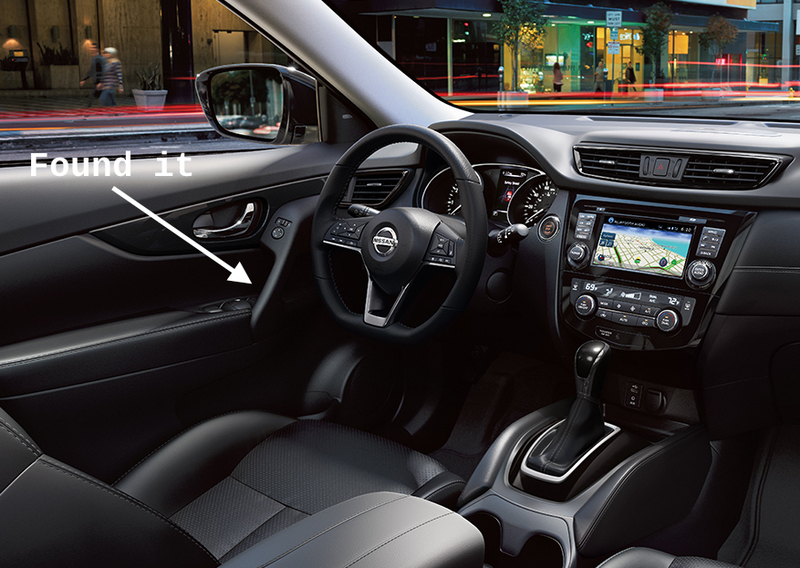 What’s worse is that on some models, like the Rogue, the lock-unlock switch is hidden behind the door handle, so you have to wedge your fingers in there and swipe around hoping you hit the unlock so you can be bailed from the jail cell of your Altima. God help you if you’re a builder or something with huge fingers. Where's the lock button in the picture above? I don’t know why Nissan does this. Infinitis auto-unlock when put into park. Mazdas auto-unlock. Hondas do. Fords do. Even Chevrolets do. It’s not like it’s an expensive feature, and let me remind you it’s already installed on the car: the doors auto-lock when put into drive.